We are a small web development company that started in 2005, many years ago. Since we started, we have been continually providing excellent and reliable web design and software development services for small to medium sized companies. We are proud to say that as of yet, we have not lost a single client. Every one of our customers have been pleased with our work and have always used us as their first point of call for almost all IT related services. "To provide affordable IT services for small to medium companies. We believe all companies should have a website regardless of their budget." 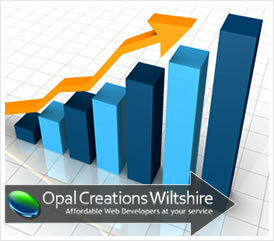 Opal Creations operates on a personal basis. That means that you are in complete contact with any part of the team you wish. We do not hide our developers away! That means if you have any issues or questions you do not have to be put through to customer services, await a developer to respond to the service representative and then await a response from the rep to yourself; you can speak straight to a developer if you need to. We like to think that we can provide the full package when it comes to facilitating your company's needs. Our services range from Web Design to Software Development and SEO Marketing Campaigns. If you would like to read about our any of our services then please click here to go to our services page. All of our staff are passionate about what they do, and therefore we will all strive to ensure your project goes to plan. We are pleased to welcome your business no matter how small your requirements may be. If you would like to know more about us then please have a look at our services page, browse our portfolio which lists out some of our web design projects, or if you would prefer to ask us a question directly, then you can find our contact information here.